Remember those nights hanging out at the roller rink, or the mall arcade, or anywhere where you pumped quarters into the neighborhood Pac Man or Asteroids video game? Back in the early 80s, we were too young to play those games and drink beer. Now, we can drink beer, but most of the games are nearly gone. Except for the ones salvaged, rebuilt and now on display inside the Two Plumbers Brewery + Arcade in St. Charles County. Now, as the brewery enters 2019, and prepares for its new expansion, I reached out to Robert Schowengerdt to find out more about what’s in store in the New Year of Beer. 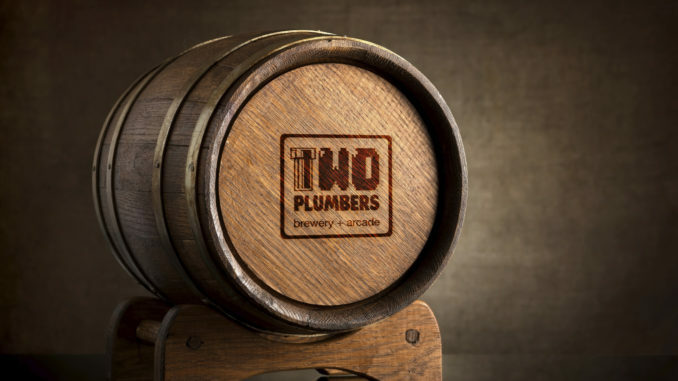 For Two Plumbers we have some big plans happening this year. First, in early January we are teaming up with Guerrilla Street Food and will have their food on sale in our location. Not only is it the first time we have offered real food but its there first location St. Charles County. We do plan to let people bring in their own food still but we will be phasing out the frozen pizzas we were selling. We are also hoping to have our new event space open by the summer. It’s a different location about 2 miles away that we will be adding a 7bbl system and a private event space with arcade games and seating. It will actually be a bigger space than our current taproom. I’d love to tell you we have a master list of beer we plan to make but that wouldn’t really be our style. The one advantage of our current 2bbl system is that we can try new beer styles whenever we want. That tends to lead to us changing our plans whenever we get a new good idea. I do know that we are planning soon to make a Dunkelweizen. That’s a style we haven’t put on tap yet. Is there anything else about 2019 that you can tell us? We are getting our winery license so that we can make some of our own ciders. They are a big seller for us. So that is something to look forward to in 2019 from Two Plumbers.